Head and neck tumors present a diagnostic dilemma for pediatrician and surgeons. 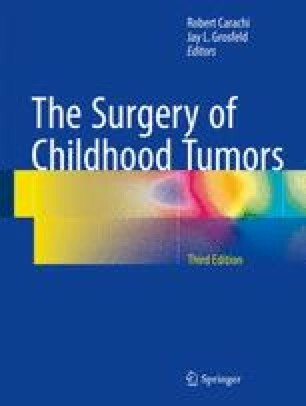 While a majority of these tumors are benign, an understanding of the fundamentals of surgical oncology is needed when approaching these tumors to ensure proper assessment and treatment. Benign lesions like thyroglossal duct cysts and brachial cleft cyst are treated by simple excision. Cervical adenopathy, while often benign, may result from infection or neoplasm such as lymphoma. Solid tumors of the head and neck include thyroid tumors, neuroblastoma, rhabdomyosarcoma, non-rhabdomyosarcomas, germ cell tumors, salivary gland tumors and nasopharyngeal carcinoma. Treatment of these neoplastic processes requires a multi-disciplinary approach including pediatricians, surgeons, medical oncologist, and radiation oncologists. Available from: http://www.cancer.gov/. 24 June 2012.